Chips and salsa set on a table at a Mexican restaurant. It's a popular snack for a lot of people who live in the Bay Area. What is a trip to a Mexican restaurant without the free starter on the table. But today, there's some stomach-turning news about the old standby appetizer of tortilla chips and salsa. According to the Centers for Disease Control and Prevention, salsa and its friend guacamole are to blame in nearly one out of every 25 food-borne illnesses. Most cases between 1990 and 2008 were linked to food served in restaurants. Blame the ingredients in salsa. Peppers, tomatoes, and cilantro have been linked to widespread salmonella outbreaks in recent years. 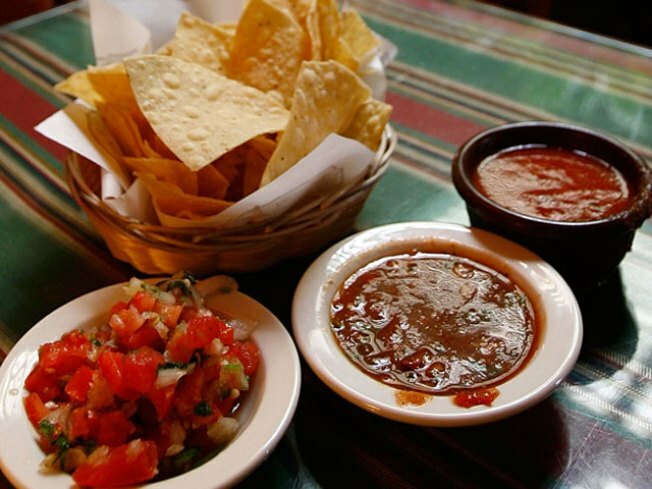 Since restaurants tend to make salsa in large batches, more people have the potential of getting sick, according to one expert who spoke with the Wall Street Journal. Want another number to chew on? The CDC estimates more than 75 million Americans are sickened by food-borne illnesses each year. Luckily, most cases are mild.